Just think how many books you could buy with $100! Or maybe you need a new Kindle! Or maybe you want to try Kindle Unlimited! So many possibilities!! Each of these sponsoring authors writes clean wholesome romance. One winner will be awarded $100 in Paypal Cash or a $100 Amazon Gift Code! Winning entry will be verified! Make sure you actually subscribe and confirm your entries so you don’t get disqualified. Please give these authors a chance. I personally subscribe to all these newsletters and have read books by many of these authors. Their newsletters aren’t spammy and often contain great ebook freebies, deals, and new releases. Most authors email out at most once a week so your inbox isn’t going to be overflowing if you subscribe to all of them! If you already subscribe to an author’s newsletter you can, of course, claim the entry! Ends 11/2/18 Open only to those who can legally enter, receive and use an Amazon.com Gift Code or Paypal Cash. Winning Entry will be verified prior to prize being awarded. No purchase necessary. You must be 18 or older to enter or have your parent enter for you. The winner will be chosen by rafflecopter and announced here as well as emailed and will have 48 hours to respond or a new winner may be chosen. This giveaway is in no way associated with Facebook, Twitter, Rafflecopter, Amazon, Paypal or any other entity unless otherwise specified. The number of eligible entries received determines the odds of winning. The giveaway was organized by Kathy from I Am A Reader/Clean Wholesome Romance and sponsored by the participating authors. VOID WHERE PROHIBITED BY LAW. Enter the $100 Giveaway via the rafflecopter below. Sometimes I just get in the mood for a paranormal romance. I've been reading less of this genre lately and I miss it. This is a young adult book, with the characters being in high school so naturally they feel and act young. I don't know that I really felt connected emotionally to the characters, but I did enjoy the story. I really liked Morgan. She is a kind person and that always resonates with me. 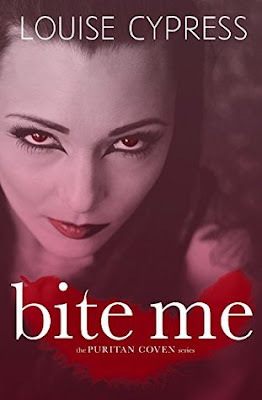 The whole vampire romp can get to feeling very cliche because how many different ways can you really do vampire, right? I thought the author did a good job of giving me some slightly varied ideas and scenarios so this felt like it's own story and set it apart from others. I liked that for most of the story Morgan really had no idea what she had become. Overall I liked the story. There are two more books in this series as of right now and I've got them on my list to read when that paranormal urge strikes me. They are all on Kindle Unlimited so that is good news for me! 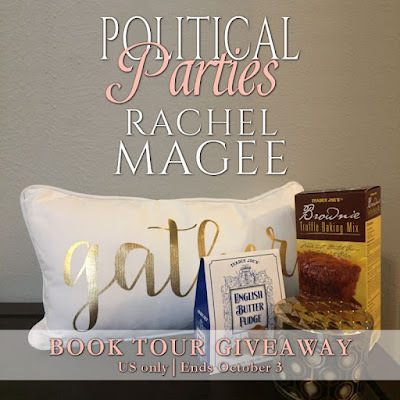 Political Parties by Rachel Magee: A Dual Review and a Giveaway! Aimee: I've been looking forward to this book for awhile now. This sounds like the perfect set up for a Hallmark romance, right? I could picture each scene from this book just like a movie in my head. It had great romantic build up and tension, witty banter and characters that I genuinely liked. Well, Griffith wasn't love at first read, but he grew on me as I got to know him better and as Reece worked her sunshine magic on him. Reese is someone I would love to be friends with in real life. Positive energy just flows from her. This was a fun book, engaging and full of undeniable attraction. I love when the sparks fly! Jaalah: If you’re in the mood for an adorable Hallmark-vibe book, this is the one for you. Not only are the characters of Reece and Griffith relatable and likable, the way they interact and move the plot forward is completely engaging. 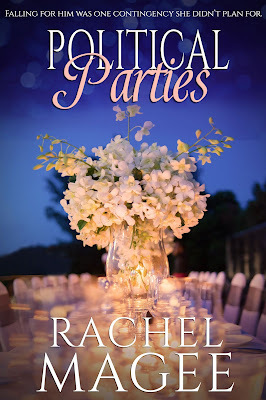 The two characters’ interactions with one another made me giggle, and I found myself waiting with that knowing anticipation that only comes from the best rom-coms and chic flics for Reece and Griffith to fall in love. This book had just the right amount of feel-good-page-turning moments; it also had just the right amount of depth and feeling to enrapture a reader and make them really feel for the characters. 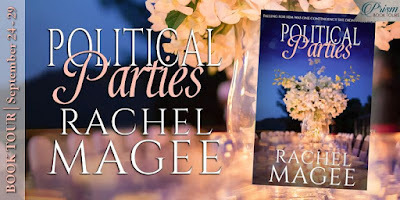 Rachel Magee’s writing style was entertaining and bubbly- her attention to building lovable characters made the story flow perfectly. A clean, funny romance while snuggled in a fuzzy blanket is exactly what this girl needed after a long day at work, and let’s face it, sometimes a movie just doesn’t do it the same way an adorable novel like this does. I fell in love with all the exciting twists and turns in this delightful book; this is a love story I’ll be sure to recommend. Content: kissing (that gets a little heated, heads to the bedroom but cools off), still what I would consider clean. 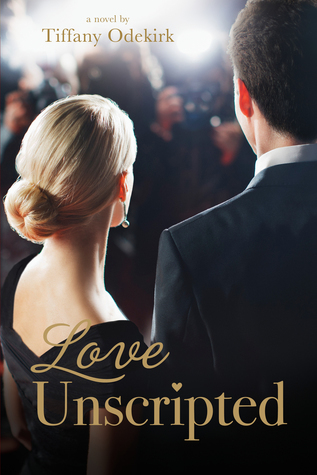 Falling in Love with Author Jennifer Griffith +$.99 Book and $25 Giveaway! Author Jennifer Griffith Jennifer Griffith writes light, sweet romances she calls Cotton Candy for the Soul. Her Legally in Love Collection stems from the fact she fell in love with a handsome law school student who now serves as a judge--as well as her muse. She also writes the Millionaire Makeover Romances, millionaires and makeovers being some things with which she has less experience. Jennifer loves old cars, landscape paintings, fresh bread with raspberry jam, and reading. She lived in Japan during college, where she once ate a cricket on a dare. She also traveled through Europe, where she slept a night in a castle on the Rhine. Jennifer worked summers in a cookie factory, and she spent a few years working for the U.S. Congress before becoming a wife, a mom and an author. When I picked this book up I was so excited because this is a nice thick book and I knew if the story was a good one, I was in for a treat. And yay! It was a good one- a journey of forgiveness, love and new beginnings. Evie is a broken and hurt woman. She's made some mistakes, she's been burned by love and now she is lost and aimlessly drifting along instead of really living. She is trying to find her footing again. Enter Ridge, who challenges Evie and helps her begin on the path to find herself and forgive herself. Both of these characters are vulnerable which is what connected me to them. It was their flaws that helped me relate, and their strengths that helped me admire them. I felt so connected to their stories. I loved the beginning meeting (in a bathroom!) and I loved the ending. This was a very satisfying read. - I was given a complimentary copy of this book. All opinions expressed are my own. Trent Lockheart might be the new sheriff in town, but he can’t stop Jessie Jean from stealing his heart. Sheriff Trent Lockheart knew he’d be in for a challenge when he moved from the big city and a large police force to the small Wyoming town of Cobble Creek. But at least he’d be able to stick to his bachelor ways without temptation. So he thought. Cobble Creek isn’t overflowing with young, single ladies, but Jessie Jean—the gorgeous brunette who runs the Country Quilt Inn—proves more tempting than any woman he’s known. Jessie doesn’t care much for the new sheriff in town. After an explosive first meeting that almost ends in Jessie’s arrest, she’s even more determined to plan on dinner for one for the rest of her life. Sure, the new sheriff is seriously attractive, and after a second, much less dangerous run-in, he might not be that bad, but Jessie has no plan to marry, date, or even let a man into her life. Still, as the days pass, Trent’s surprising charm works past Jessie’s determination, and she finds promise in their budding relationship. After opening up about the difficulties in her past, Jessie finds that Trent is guarding a dark tragedy of his own, one that might threaten their chance at a future together. 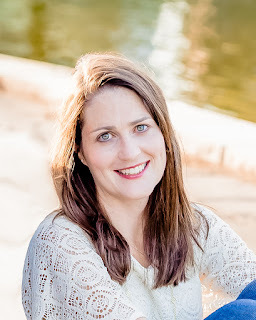 Author Kimberly Krey Kimberly has always been a fan of good, clean romance, so she decided to specialize in writing 'Romance That's Clean without Losing the Steam'. She's a fervent lover of God, family, and cheese platters, as well as the ultimate hater of laundry.